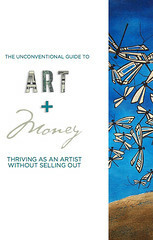 So, check out the book by clicking here – it’s interesting that so much of the advice in it is about visual art, rather than music or writing, but that actually makes it more fun (and perhaps easier?) to abstract principles from it rather than getting caught up in the details of someone else’s execution of their ideas. I don’t have a transcript of the interview, but if you want to pull out the quotes from it that connect with you the most and add them to the comments, we can put together ‘edited’ highlights. Over on the Beyond Bass Camp blog, I wrote a post about ‘The Convergence Pyramid’ – the idea that the higher up/deeper you go into any endeavour (in that case, learning bass), the less distinguishable the various fragmented elements are from one another. 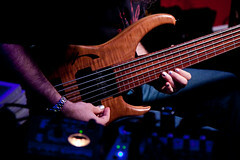 So theory, technique and equipment for musicians all merge in the service of an intention; practice and performance both just become the process of making music and musical awareness is deeply connected to self knowledge. It’s also vital for those of us who are making music – and trying to make it discoverable to people who may like it – to seek convergence in the purpose and the method. One old music industry model was to see a manager as doing the dirty business of ‘monetizing the assets’ of the artists, while the musicians were able to make music in an unsullied fashion, with little concern for the business side of things. The problem arises when the manager and artist are working at cross purposes. It is quite possible, even likely, that the business strategy within which an artist operates will affect the music. In fact, the more effective, efficient and useful a manager you have, the more likely it is that the outworking of their industriousness will shape the creative environment for the band. And that kind of fragmentation is a clumsy tension at best. The first positive step is just recognising it. I had a fairly lively encounter with Peter Jenner at a Musictank event I spoke at. Peter is Billy Bragg’s manager, and a very bright man. He was asking the usual questions about ‘where the money is’ in the new music economy, not realising what an insignificant statistical blip those people who actually make money from record deals are. (the amount of money earned is not insignificant, it’s just piled up at one end of the curve, and 9/10 albums end up costing more than they earn). But at the end of our conversation, Peter said ‘I’m glad you’re passionate about this, it’s what you’re meant to do. And my job is to make sure that the artists I represent make enough money not to have to worry about how to keep doing it.’ Or words to that effect. It was a very astute assessment of where music managers can position themselves as both business-heads and creative altruists. It made a lot of business sense in the context of the someone like Billy Bragg’s career. There are a large number of valuable assets in Billy’s business – both tangible (songs, recordings, trademarks etc.) and ephemeral (the ‘Billy Bragg brand’, if you will) – both of which require a fair amount of clever thinking to be maintained and maximised. But for the rest of us, who don’t already have that, we can afford to be way more imaginative in defining the space in which we want to create music. And far from impeding our success due to our lack of ‘business savvy’, the end result is that we *should* be making much better music, and hopefully doing it in a way that invites people to be a part of the process of letting the rest of the world know about it. In business terms, that’s called ‘buzz’. If you’re not reliant on it as your measure of success, noticing when there’s a localised ‘buzz’ about your music is a lovely experience. And the wonder of organic buzz is that it translates into options for the artist. You have the option to respond to the opportunities that interest in your music from the wider industry brings up. Or not. It’s quite OK to recognise the freedom in doing it all yourself, keeping it small and personal, on a cottage industry level, but being aware that that additional interest in you acts as a fantastic ‘safety zone’ around your business model. It gives you headroom. 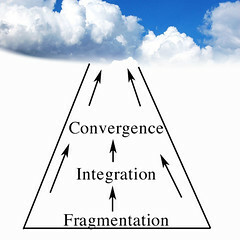 So, what does convergence mean for us? It means focussing on the things that matter, setting our goals based on creative freedom, on what matters in the context of the music. Music is way too important to waste the creative opportunities on trying to make a living out of it over and above our creative aspirations. There’s nothing ‘wrong’ with making money from it. It’s rather nice when it happens, but if music becomes your ‘day job’ to pay for ‘your music’, you may find that it’s a pain in the arse because the gigs you do for money are happening at the same time as the invites to play the music that means so much more. Only you can really decide what’s important to you. There are no hard and fast right answers to this, beyond the observation that ‘fame’ rarely leads to increased creative freedom, and if your own creative process is valuable to you, you’re going to have to carve out a work space conducive to allowing that to flourish. The Importance of Accountability In the Creative Process. I posted a new article up on the Creative Choices site. It’s a few lessons learned from last week’s tour… I’ll write more extensively about the tour here once we’ve debriefed it properly as a band, but the tour just provided the impetus for a post about the need to make creative ventures financially viable if you want to do more of them. You can read the post by clicking here – and if you sign in once you get there, you can comment. There are a few really interesting comments already. Also generating loads of great comments is part for of my teaching thoughts series here. Thanks so much for all your comments there! My 2nd post is up on the Creative Choices blog. It’s entitled Kickstarting Creativity, and addresses a misnomer in the way people think about the creative process. Please feel free to comment over there too!